Samra Zafar was just 16 years old when her mother told her she would be marrying a 28-year-old man in Canada. Against her wishes, Zafar left her Pakistani family’s home in the United Arab Emirates and started a new life with her husband in Mississauga, Ont. Over the next decade, she endured “abuse of all kinds” as she raised two daughters and tried desperately to obtain a university education and get out of her marriage. She eventually succeeded and is now speaking out about child brides and forced marriage – a problem she says is prevalent, even in Canada. “It’s actually shocking how much it happens here,” Zafar, who is now a successful financial services professional, speaker and human rights activist, told CTV’s Your Morning on Thursday. Forcing very young girls into marriage is a serious problem all around the world, activists say. In Canada, marriage laws vary among provinces and territories, with the legal age of marriage generally set at 18. However, in many provinces, a person with consent from both parents can be married at age 16 or 17. Those exceptions can lead to forced marriage because the bride’s consent is not explicitly sought, said Saadya Hamdani of Plan Canada, an international organization that supports social justice for children in developing countries. “The cultural value that is attached to marriage is a very big problem,” Hamdani told CTV’s Your Morning. It is estimated that, each year, 15 million girls around the world are married before the age of 18. In September 2013, the South Asian Legal Clinic of Ontario released a report that counted 219 confirmed or suspected cases of forced marriage in Ontario and Quebec from 2010 to 2012. In 57 per cent of the cases, people were taken out of Canada to get married. Zafar, who has been speaking about the issue in Canadian high schools, said she is sometimes approached by teachers who tell her about girls in Grades 10, 11 or 12, who go to their family’s country of origin for the summer and don’t come back because they end up getting married there. She believed that herself, until she came to Canada and suffered abuse at the hands of her husband. Zafar was able to secretly save enough money to get an education at the University of Toronto, where she excelled and realized for the first time that what she experienced at home was abuse. She left her husband and continued to pursue her education as a single mother, while also working multiple jobs. She obtained a master’s degree in economics with the highest distinction, won multiple scholarships and awards, and is now the youngest alumnus serving as a University of Toronto governor. Zafar is now a sought-after speaker on the topics of domestic violence, gender inequality and female empowerment. “It’s my mission now to bring awareness to this issue,” she said. 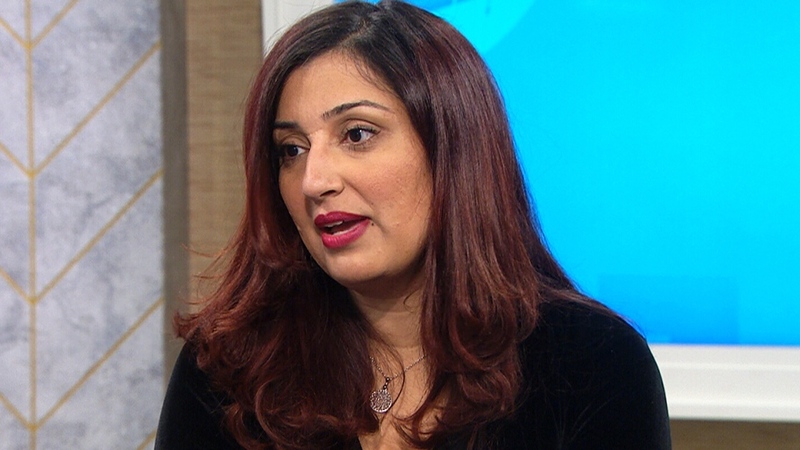 Samra Zafar speaks about child brides and forced marriages on CTV's Your Morning.